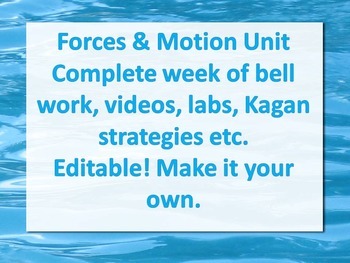 This is a complete week of lessons from Tuesday through Friday, includes bell work, labs, videos and Kagan strategies etc. You can edit to add more slides and adapt to your style. If you have any questions please let me know. 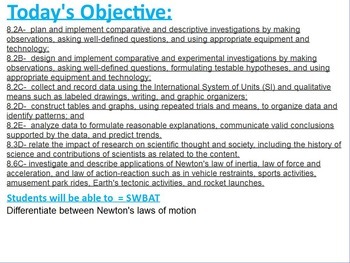 This is a promethean file. 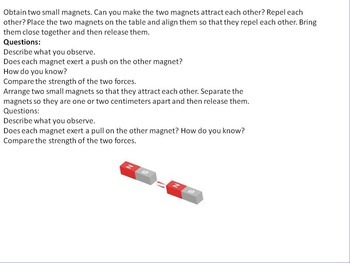 This is week 10 of my year long lesson files. 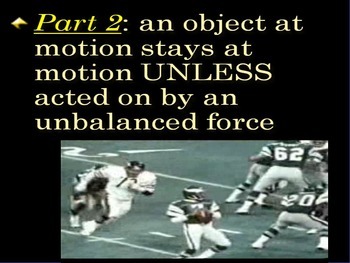 Lesson 4 of Forces and motion.